The Spider spin-offs keep on coming! With Venom now shooting, an even more obscure character from the web-slinger's extensive comicbook past has now been unearthed, with plans for a movie. 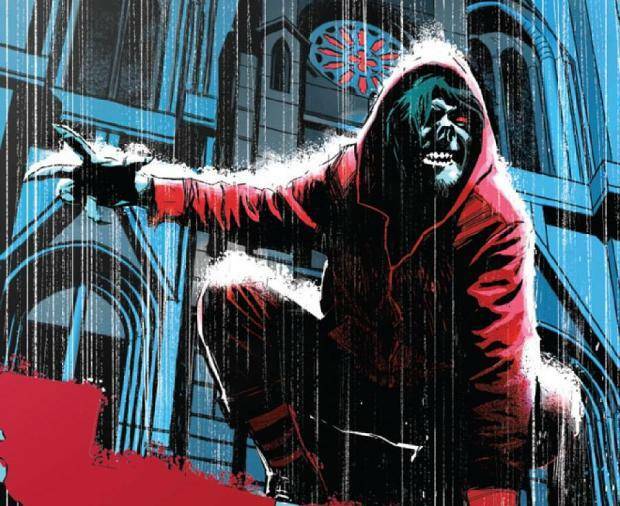 Power Rangers writing duo Matt Sazama and Burk Sharpless are in talks to craft the script for Morbius: The Living Vampire. Sony is pushing ahead with another potential Spider-movie, which, like Venom, is unlikely to be linked to the MCU. What it will boast, however, is the story of Michael Morbius, a Nobel Prize-winning biochemist who tries to cure a rare blood disease using an experimental treatment that combines electroshock therapy and vampire bats. The results are predictably catastrophic, and he's transformed into... well, the title should be a clue. He has some of the traditional vampiric qualities – he ingests blood to live, and conversely is not fond of bright light. He can fly, has superhuman strength and healing capabilities. When he bites victims and drinks their blood, his attacks are often lethal, but he doesn't turn anyone into a bloodsucker himself. Created by Roy Thomas and Gil Kane and first arriving in the pages of The Amazing Spider-Man in 1971, Morbius was considered as a potential character when Artisan bought the rights to several Marvel titles as possible movies, but nothing came of it. Now Sony is hoping it might leap on the vampire bandwagon, albeit one we worry might have a wonky wheel these days. And in case the writers' last gig gives you pause, don't worry! They also worked on Gods Of Egypt, The Last Witch Hunter and Dracula Untold. Oh.